Section 81 of the 1956 Act granted pre-emptive rights to existing members of the company and provided for issue of rights shares to existing shareholders. However, the section also permitted the company to issue further shares to persons other than existing shareholders provided the conditions as stated in the section were met. Section 81 of the 1956 Act also empowered the Central Government to require a company to convert the loans granted or debentures subscribed by the Government into shares of the company. The legislative amendments to S 81 of the 1956 Act are discussed in detail under the heading “Analysis of the Relevant Provisions of the Companies Act, 1956 vis a vis Companies Act 2013” later in the notes under this section. Section 81 of the 1956 Act was amended by the Companies (Amendment) Act, 1960 to allow the board of directors, to by a special resolution, allot further shares to persons other that existing equity shareholders, and where no such special resolution is passed in that general meeting, if the proposal has been carried out by a majority of votes and the Central Government is satisfied that the proposal is most beneficial to the company registration. Further, the provisions of section 81 of the 1956 Act were amended to provide that these provisions would apply when the Board of Directors proposes to increase the subscribed capital of a company by allotment of further shares after the expiry of two years from formation of the company or after the expiry of one year from the first allotment of shares, whichever is earlier. Section 81 was also not applicable in relation to convertible loans or debentures, if the terms of issue of debentures or loans have been approved by the company by a special resolution and been approved by the Central Government before such issue, or such terms are in conformity with the rules made by the Central Government. Section 81 was again amended by the Companies (Amendment) Act, 1963, by which the procedure prescribed under section 81 of the 1956 Act could be dispenses with for conversion of loans given by Government and specified financial institutions. Section 94(A) was inserted by the Companies Amendment Act, 1974. The object was to provide for a section that was procedural nature and dispenses with the necessity of passing a resolution for alteration of the memorandum and filing documents with the Registrar of Companies to show increase of share capital, in certain cases. Section 62 of the 2013 Act was notified vide SO 902(E) and has been in effect from 01-04-2014, except sub-sections (4) to (6) which have not been notified, at the time of going to press. Section 62 of the 2013 Act, like section 81 of the 1956 Act, provides for issue of rights shares to existing equity shareholders It also provides for issuance of shares to employees under Employees Stock Option Scheme and issue of shares on preferential basis. Sub-sections (4) to (6) of the section 62 which have not been notified relate to conversion of loans granted/debentures subscribed by the Central Government into shares of the company. In reply to a suggestion for exclusion of private companies from the purview of section 62 of the Act, the Parliamentary Committee, in its report on the Companies Bill, 2011, did not suggest exclusion of private companies and stated that the provisions have been taken from the Companies Bill, 2009 and therefore, be retained. (i) The time frame for sending notice for further issue of shares under sub-clause (i) of clause (a) of section 62(1) has been relaxed private companies may give a minimum time of 7 days and a maximum of 15 days to the offeree for accepting the offer. ii) Further shares may be of issued to employees under a scheme of employees’ stock option, subject to an ordinary resolution passed instead of special resolution in case of public companies. However, please note that this notification has not been passed, at the time of going to press. 1. As per section 81 of 1956 Act, the provision relating to proportionate offer was applicable for further issue of shares made after two years of incorporation or one issue of shares, proportionate offer of shares have to be made to the existing shareholders. 2. Unlike the 1956 Act, now in case of further issue of shares even by a private company, shares have to be offered to the existing shareholders on a proportionate basis, i.e., section 62 of the 2013 Act does not differentiate between a public company or a private company. 3. Shares can be offered to employees under a scheme of employees” stock option after passing a special resolution and subject to prescribed conditions. The 1956 Act does not explicitly allowed issuance of shares to employees under ESOP; however, SEBI regulations contain provisions pertaining to ESOP. 4. As per s, 62 of the 2013 Act, shares can be issued to any person other than equity shareholders and employees, after passing a special resolution, if the price is determined by a valuation report of a registered valuer, subject to the prescribed conditions. if a company having a share capital, at any time, wishes to increased its subscribed capital by the issue of further shares, then the company has to comply with the section 62 of the 2013 Act. Section 81 of the 1956 Act was attracted only when company wished to increase its subscribed capital after one year of the first allotment of shares or after two years from the formation of the company, whichever is earlier, by allotment of further shares (popularly referred to as ‘rights shares’). Therefore, any issue or allotment of shares within two years of the formation of a company or within one year after the first allotment, whichever event occurs earlier, would not be affected by the requirements of section 81 of the 1956 Act. This is not so under the 2013 Act as is evident form the use of the expression “at any time”. (ii) The offer shall include a right exercisable by the person concerned to renounce the shares in favor of any other person. The notice of offer shall contain a statement of this right. However this is applicable only if the articles of association of the Company do not contradict such a right to renounce. (i) ESOP: Section 62 ()(b) of the 2013 Act, provides for issue of further shares to employees under a scheme of employees’ stock option, subject to conditions prescribed under the rules to chapter IV of the 2013 Act. The 1956 Act did not expressly provide for issue of shares under ESOP; however, SEBI has framed SEBI (Employee Stock Option Scheme and Employee Stock Purchase Scheme), Guidelines, 1999. Section 62(1)(b) of the 2013 Act should be read with Rule 12 of the Companies (Share Capital and Debentures) Rules, 2014 which provides for additional conditions to issuing shares under ESOP. (ii) Persons other than equity shareholders and employees: Section 62(1)(c) of the 2013 Act, provides that issue of further shares can be made to persons other than equity shareholders and employees, provided a special resolution is passed; the price of such shares is determined by the valuation report of a registered valuer; and conditions specified under the rules issued under Chapter IV of the 2013 Act are met. At the time of going to press, SEBI has made certain regulations for all schemes by Companies for their employees, involving dealing in shares, directly or indirectly, with a view to facilitate smooth operation of such schemes. These are the SEBI (Share Based Employee Benefits) Regulations 2014, notified on 28-10-2014. Rights issue to existing equity shareholders shall be made by sending a letter of offer. [Section 621)(a)]. Such notice/ offer shall be dispatched through registered post or speed post or through electronic mode to all the existing shareholders at least three days before the opening of the issue. It should be observed that section 62 (2) of the 2013 Act provides specifically for three modes of notice- speed post, registered post or electronic mode. Section 62(3) of the 2013 Act excludes increase in the subscribed capital of the company pursuant to an option attached to the debentures issued or loans raised by the company for conversion of such debentures or loans into shares of the company, on the condition that the terms of issue of such debenture or raising of loan have been approved by the members by means of special resolution. Section 62(4) of the 2013 Act corresponds to s. 81(4) of the 1956 Act. The 2013 Act in consonance with the 1956 Act, allows the company registration to make appeal to the Tribunal [in the 1956 Act the Court] in case the terms and conditions of conversion laid down by the Government are not acceptable to the company. The appeal shall be made within sixty days [under the 1956 Act, within thirty days] of the date of communication of the order of the Government. However, s. 62(4) of the 2013 Act has not been notified at the time going to press.Terms and conditions of conversion of loans etc. obtained from the Government by a company when so ordered [Section 62(5) of Companies Act, 2013]. (4) Such other matter as it may consider necessary [Section 81(5) of the 1956 Act also specified certain other factors, e.g. capital structure of the company registration including its loan liabilities and its reserves; profits of the company during the preceding five years; and current market price of the shares of the company]. In case the order of the Central Government for conversion of loans or debentures results in an increase in the authorized capital of the company, then memorandum of the company and authorized share capital of the company shall stand altered accordingly. Registrar shall be informed by the company in such cases, so that the Registrar may carry out the necessary alteration in the memorandum of the company registration showing the increase of share capital. Section 62 (6) of the 2013 Act is not notified, at the time of going to press. For form of notice to the Registrar for increase of authorized share capital pursuant to an order of the Central Government under Section 62 (4). There is no specific penalty provided for contravening the section, and section 450 of the 2013 Act will apply. The offence is compoundable under section 441 of the 2013 Act. 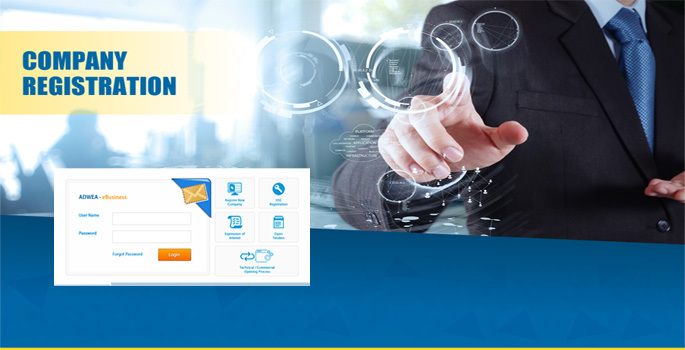 Provisions to be administered by SEBI – The provisions of this section are to be administered by SEBI by means of regulations, in respect of companies already listed or companies which intend to get listed. In respect of other companies, the administration shall be by the Central Government [vide s. 24(1)(a)(i) and 24(1)(b) of 2013 Act]. The purport of s. 24(1)(a)0) seems to be that the power to issue regulations pertaining to issue of securities, and other administrative powers in connection with matters of issue of securities etc. are to be exercised by SEBI, as SEBI is the securities regulator. 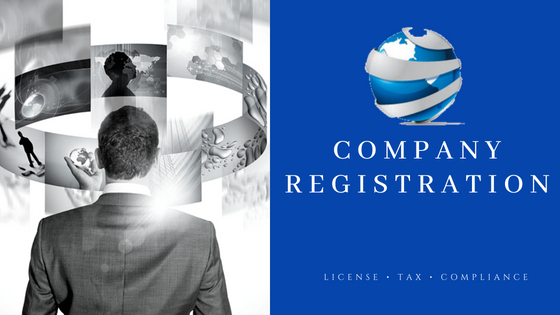 For More Clarification about Company Registration in Bangalore, kindly visit our site and feel free to contact us. We are here to helping you. Thanks for reading!! !